Forget chicken and waffles. 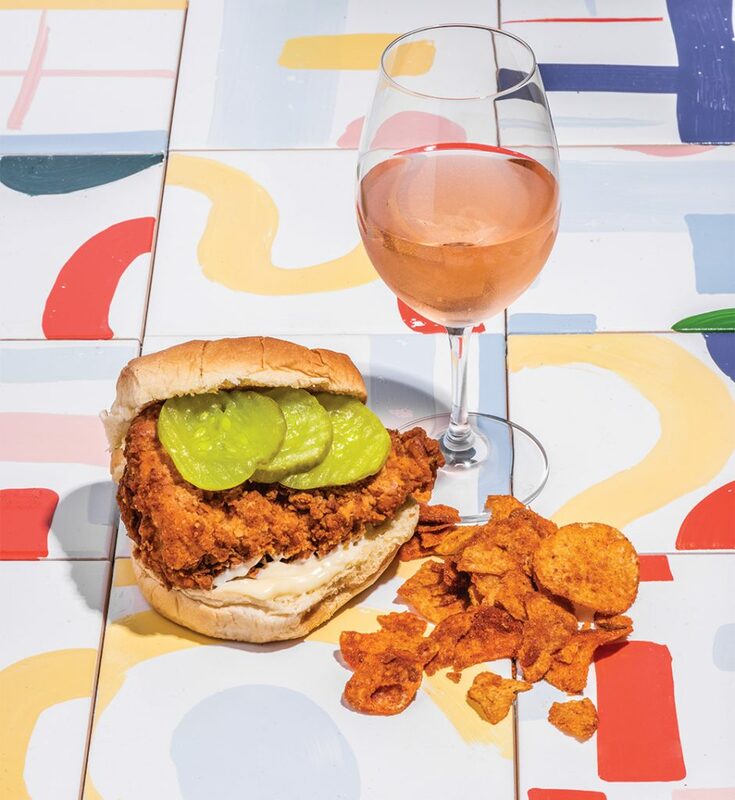 Please is upping the ante with their fried chicken (or tofu) and rosé combo. A summertime Sunday brunch exclusive, they keep it simple with two options: a fried chicken or tofu sandwich served on a thick, fluffy bun spread with mayo, plus pickle slices and a handful of Grippo’s barbecue chips. Wash down the greasy goodness with one of two rotating rosés featured as glass pours or choose from a wider selection available by the bottle. Both proteins are moist, well-seasoned, and fried crispy, and each pushes maximum bun capacity. The real star? Dessert: an enormous, dense sea-salted brownie delivered on a curiously small plate. The salt cuts through the rich, battery sweetness. (We dare you to resist.) The rosés pair well right up to the end, with fruit-forward flavors and just enough acidity to complement the savory main course, but enough depth to round out dessert. Name a better way to end a weekend. We’ll wait. Next articleMs. Married Lady: Food Bandits, Dress Code, and Who’s Paying?